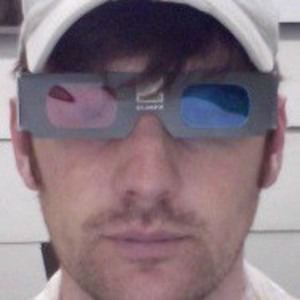 Today’s Video Blog is brought to you by Chris Spears, Tech Director for Shroud of the Avatar. One of the hot topics that has come up in the chats and forums is the choice of dual-scale vs mono-scale maps. Ultima 1-5, Dragon’s Age, most JRPGs use the dual scale system, where you have an overland scale and then a encounter scale. Ultima 6-UO used a mono-scale map. After looking at the pros and cons of both systems we decided to go with a much improved version of the dual scale map. We are expanding on this as well so that areas you enter are truly more movie scene like that than just a space to fight in. Don’t think of them as a simple instanced dungeon like you might find in WoW or a dungeon from Skyrim but instead a smaller, focused 3-30 minute experience of some sort which is not necessarily just go in here and kill stuff. Many scenes will involve specific story driven moments and puzzles with no combat at all. More dynamic world: By breaking the 1-to-1 connection between the overland tiles and the content they are attached to and generating the overland map through data instead of baked art, we are free to change up areas of the world far more easily. Things like changing out a section of the map to be infested by a plague or have a mountain turn into a volcano is as easy as pushing new map tile data and connection information. This also allows us to easily roll out new scenes as we complete them to ensure the game stays fresh and interesting on a weekly basis. Less painful travel: As much fun as it is to be able to occasionally just wander in the wilderness, in the long run, people generally prefer to be able to get around quickly and not have to spend an hour trying to figure out what the best way to get to the other side of the mountain is going to be. That is fun the first three times and a game exiting moment on the 23rd time. Because we’re not doing our quests as “run to this X on your radar”, there will be far more detective and foot work involved and not making that travel element a huge chore was important to not destroying the game flow. Quicker content creation: I know the average user doesn’t think about this kind of stuff but it is huge in the reality of game development. Budgets are not infinite so speeding up content creation means we get more stuff done in the same amount of time with fewer bugs and more polish. End result is we can give you guys a bigger, smoother game experience with fewer bugs and quicker fixes when we do find things! Easier content delivery: Breaking up the world into little chunk simplifies content delivery to the end users and also patching. Lower machine requirements: Giant seamless worlds are a challenge for even the most powerful computers out there. By splitting up the world into focused scenes we greatly lower the machine requirements. More scaleable multiplayer experience: Most people are shocked to hear that one of the most expensive systems on large scene MMO servers, is mob/character visibility. Not the actual ray testing to see if they can be seen but the logic of figuring out which entities should be updated of others actions. Chopping the world up into smaller, bite size chunks greatly simplifies those calculations. Allows us to more easily insert single player experiences into the multiplayer version. Because the multiplayer version of the game shares the majority of the single player quest line, there are times when we need to isolate the player from a party situation for storyline reasons. These situations won’t be too common but there are just some things that an avatar must do alone! This scene started from conversations with Richard about the gypsies who will live in this world. A very early first pass resulted in a large camp where many gypsies lived and sold their wares. Richard felt that this didn’t quite match what he had in mind for this. Instead he had envisioned a much smaller, temporary encampment, possibly even a single gypsy family. Once I started to visualize the scene in that way, ideas came to mind much quicker and more easily. This is a family that would almost certainly come under siege by a small group of monsters, they probably don’t have much in the way of money, and they probably had their own family issues to worry about. We settled on two stories to represent here, one “local” and one “global.” Locally, the family comes under ambush from a pack of skeletons just as the hero arrives. This is a nice, quick little piece of gameplay that leaves the player feeling a sense of reward and accomplishment. On the “global” scale, one of these gypsies has a wedding ring and offers it to the player as a reward for helping. On the surface, this appears to be an easy, extra reward for the player, but there is actually a great deal more happening here. The player has found himself or herself in an ethical dilemma, and that’s only apparent once the player has explored more of the world and uncovered more of the ongoing story. In this very organic way, quests can have both a long term and immediate consequence for players, and represents much of what questing means in a “Richard Garriott RPG”. Ultima IV, V, VI – The Hero’s Journey: Reflecting player behavior in values, virtues and social issues. We promised that when we hit the halfway point of our Kickstarter goal, we would post an exclusive Video Interview with Iolo, the beloved Bard, and Companion of the Avatar from the Ultima Series. Here it is! What is a Lord British “Ultimate” Role Playing Game? Lord British here! Welcome to my vision of the “Ultimate” Role Playing Game. In this 4-part blog, I will share my insights into what makes a great role playing game by reflecting on the past and looking towards the future. So, without further delay, we will begin where many great stories do, in a Kingdom long ago. I was attempting to make the “Ultimate” Role Playing Game before they were called Ultima and will continue long after they have been called Ultima. Announcing Shroud of the Avatar: Forsaken Virtues! You can also head over to our Kickstarter page and learn more about the project there. Pledge Your Support of Shroud of the Avatar on Kickstarter! 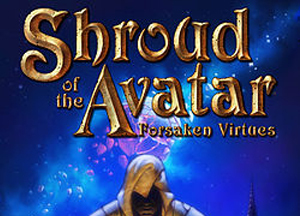 Award-winning game designer Richard Garriott and creator of the highly successful Ultima® series of games announced today that he plans to reinvent the fantasy RPG genre during a simultaneous live stream on Rooster Teeth and the Shroud of the Avatar website. The game is being backed on Kickstarter, where supporters will have a chance to help fund the project. One of the most anticipated pledge levels will include access to in-game player houses, which are available in multiple sizes and styles. 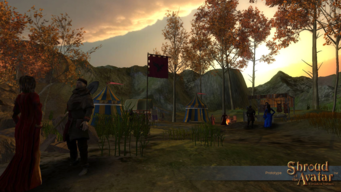 The houses provide players a chance to own their own virtual property in the game. Shroud of the Avatar on Kickstarter!